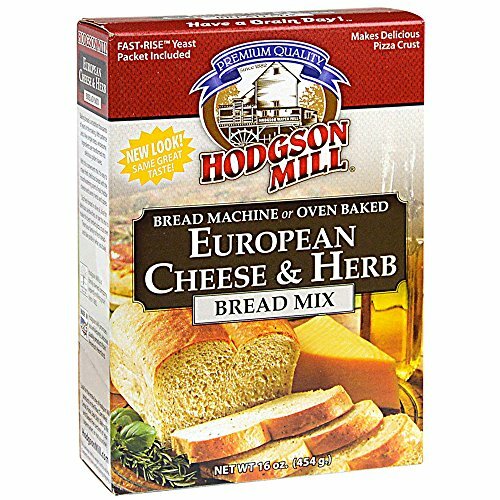 Bread and cheese lovers will love the Hodgson Mill European Cheese & Herb Bread Mix, which features mildly aged cheddar. It will make a delicious bread that people will relish and fight over the last piece for! Made of only the finest ingredients, bake a mouth-watering tasty bread that is cholesterol free, fat free, and certified Non-GMO. It will surely be a crowd-pleaser! This unique, easy-to-bake European Cheese & Herb bread mix is also versatile - bake up a crispy focaccia, fresh bread sticks, or a cheesy pizza crust that will take your taste buds on a European getaway! This bread mix also comes with Hodgson Mill’s unique and reliable Fast Rise Yeast for easier baking either by hand or in a bread machine.Look to Hodgson Mill for trusted excellent quality products that you, your family, and friends will enjoy. Hodgson Mill has been producing the highest quality baking and meal products, including organic foods, with pride for over 125 years. Hodgson Mill only uses only premium grains to produce tasty and better for you flours, mixes, cereals, pastas and sides, all quality-made in the USA. 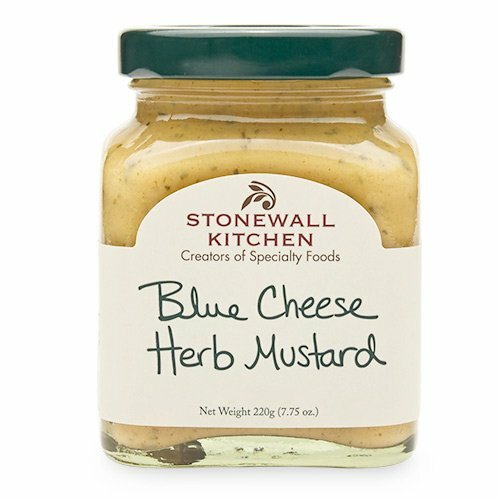 Stonewall Kitchen Blue Cheese Herb Mustard 7.75 ounces Get ready to taste an ideal blend of flavors. Tasteful blue cheese is brought to a heightened standing when we mix it with our crafted herb mustard to create our Stonewall Kitchen Blue Cheese Herb Mustard. An explosion of tantalizing flavors is just waiting to be spread on a sandwich or to zip up your grilled meats and chicken About Stonewall Kitchen Founded in 1991 by partners Jonathan King and Jim Stott, the two established themselves selling jams and jellies at local farmers' markets, fairs and festivals with their flavorful line of distinctive and high quality food items. Over time, they expanded their product line to include sauces, condiments, mustards and baking mixes. Today, products are sold in more than 6,000 wholesale accounts nationwide and internationally and through the company's 10 retail company stores and catalog and web divisions. Stonewall Kitchen is the winner of 28 prestigious awards from the Specialty Food Association and is a three time recipient of the coveted Outstanding Product Line award. 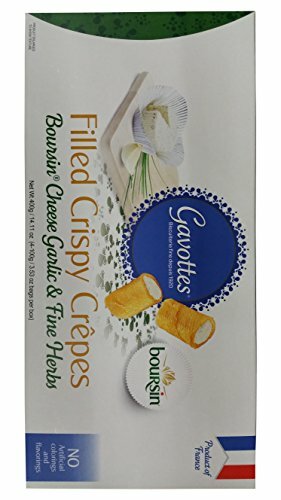 A Classic French snack from Gavottes , These crispy filled crepes are stuffed with Boursin cheese garlic and garnished with a touch of fine herbs. 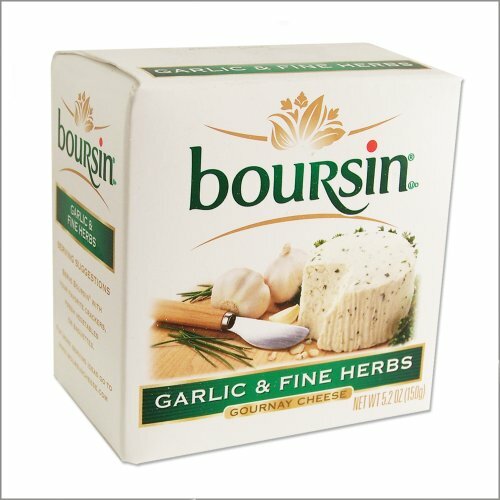 Make your next celebration special with this elegant blend of delicate garlic and savory herbs, artfully added to Boursin's authentic Gournay Cheese base. Boursin is a creamy, yet crumbly cheese, and a favorite way to enjoy it is smothered on a baguette. It is also delightful served with veggies or topped on your favorite crackers. For an easy complement to any meal, try pairing Boursin with a fruity red or dry white wine. 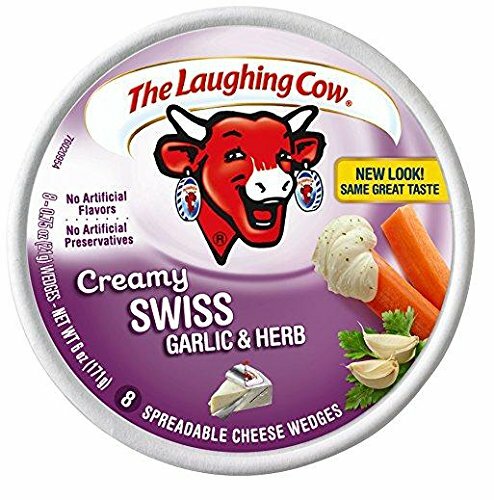 Boursin, like most cheeses, is best served at room temperature. You should remove Boursin from the refrigerator at least a half-hour before you plan to serve it. Comes wrapped with its signature foil for freshness. Now you can enjoy your favorite sandwich bar spice blend at home with beano's sandwich shakers roasted garlic and parmesan spice blend. Beano's sandwich shakers will add robust flavor without added fat, cholesterol or carbohydrates. Beano's sandwich shakers is a perfect way to add flavor to your favorite sandwich creation, just shake the taste. 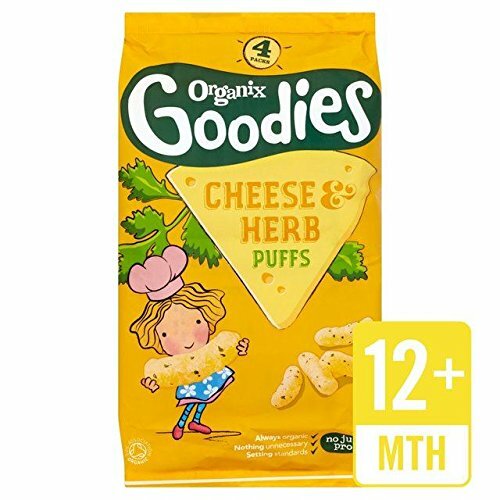 For little explorers on the go... we make our puffs with cheese powder and sprinkle of parsley. Made just from corn, with no added salt, we simply bake them so they're tasty, light and crispy. Organix wants a world where healthy nutritious food is a real choice for everyone. We're committed to setting standards in our food and never adding anything unnecessary. It's our No Junk Promise. We campaign for better food choices because we want the best for your and your family every step of the way. Baked for a natural taste, No junk promise, No added salt, No artificial colours or flavours, No MSG, Gluten & wheat free, Suitable for vegetarians Wonder of nature... Did you know parsley is part of a big family? Its relatives include celery & carrots! 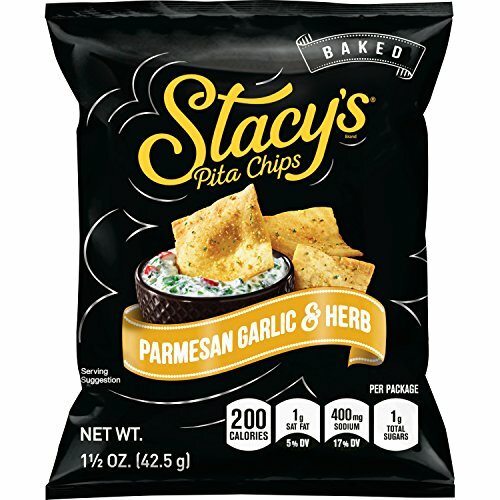 Real Parmesan cheese, garlic and parsley are twice-baked right on to our signature pita bread for a flavorful bite. 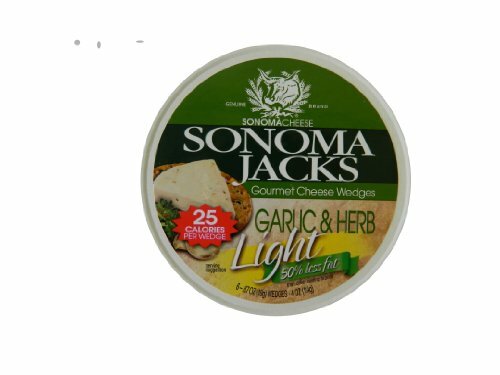 Herb & Garlic Almond Vegan Cheese - It Slices & Melts!